Slice 31 - Thank You! Slice of Life is sponsored every Tuesday by Stacey and Ruth from Two Writing Teachers. For the month of March we are challenging ourself to write a Slice A Day. Here we go! You know, I went back and looked at my first post on this blog the other day. The entire reason I began a blog was due to people (Tony, Ruth) encouraging me to do so. I know I was afraid. I didn’t know what I wrote would be interesting to anyone. What do I have to say that isn’t already out there? But I also talked to Colby one night at NCTE, we both were leaving NCTE with the feeling that we needed to write. How can I talk to my students about writing if I’m not writing also? So I began a blog. The blog was going along pretty well when I began to see mentions of this larger Slice of Life challenge. I was already posting a slice every, or almost every, Tuesday. When I first thought of slicing for the month of March I was apprehensive, what would I say each day? Would my writing be up to the task? I considered the people that were writing slices “real writers” – what would they think about my writing? As the month progressed I found a few things surprising. I never really struggled with something to write. I wrote the night before each day, I hate leaving things where I might be running late. So I wrote at night and scheduled my post for the following day. I had created a list of ideas to slice about if nothing popped in my mind that day; I never used it. What I found was as I lived my life each day things would happen and I’d think that would be a great slice. There’s a great quote somewhere that writers’ lives aren’t more interesting than other people’s lives, they just live their lives with their eyes wide open. I think that is one of the main takeaways I have from this challenge. I really want to write a book. I have ideas in my head for a kid’s book, a picture book, a teacher’s book. There is only one person who has every seen any of that writing and that’s was for the teacher’s book. When I try to write them I get nervous. What am I thinking? I’m not a writer. And honestly, the ideas behind any of them aren’t great, yet. But this challenge has made me realize if I really want to write a book, I need to be working on it daily, not just as I have time here and there. Because I feel when I am immersed in it, like I have been with this challenge, I’ll see the ideas everywhere. So thanks Stacey and Ruth, for this wonderful community. Thanks Tony and Ruth for asking me at two separate conferences why I wasn’t writing a blog, which would help to finally get me started. Thanks Colby for talking writing with me. Thanks Donalyn for being my Yoda. Thanks to my husband, Chris, for reading my slice each day and talking to me about what I wrote. And thanks to all of the amazing folks in the slice community for commenting and making me feel like I could write each day. It’s been a great month. Do you ever think of your age and realize that you are old? I turned 38 this year and in some ways I feel like 38 is a perfect age. I love my thirties and don’t feel old, in most ways. My mind doesn’t feel old; my body is another story some days. But, for the most part, I don’t feel like a certain age, just me. But then things happen to make you realize just how old you are. Last night I met up with four other women my age. We met at a local restaurant for dinner and proceeded to catch up. See, I went to school with these ladies starting in the fifth grade and we are planning our twentieth high school reunion. Yep, twentieth. Holy crap, that is a lot of years. For a few moments I paused and took in my age. I mean, I remember my parents being this age. I remember thinking they were ancient! And I actually see a lot of my mom in myself, my dad too, which is just weird. But then as we went through our yearbook and all of the people we still need to find, stories came up, memories came back. I’ve known the people at the table since I was ten years old. Some I still see regularly, for some it had been awhile. But it was awesome. All too soon my phone buzzed with a text message. Chris wanted to know when I’d be home; usually he gets to meet up with friends on Thursday nights at the same Irish restaurant/ bar I was in. I looked up and saw some of those friends at the front. Time to go. Saying goodbye to my friends I was glad I’d get to meet up with them in two more weeks to continue our planning. Sometimes remembering back helps you to feel young again. Wow, my 28th slice, and only three more to go! Today as I was debating what I could possibly write a slice about I thought about something else I am counting down, graduate school. After taking thirty-four hours of classes in the past three semesters (plus summer) I am in my final two courses. And not just the final two, I only have seven classes left. Ahhh, I can see the light. I should briefly mention that my dad has tried for my entire teaching career to convince me to become a principal, and I always refused. It wasn’t until I gave some consideration to the following facts that I decided to go for it. One, I could make more money as I taught because another degree gives me more education hours. Two, having the degree allowed me to apply for a principal job if and when one materialized that I was interested in. Tonight I began the drive over to Champaign once again. 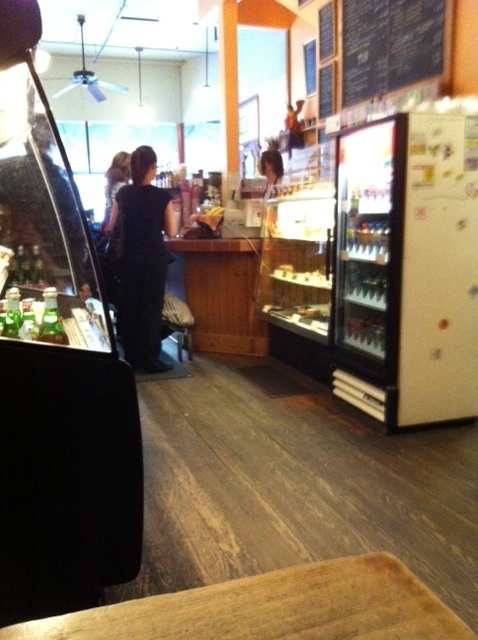 My usual routine involves a stop at Café Kopi for something to eat and a chai latte. Grabbed that and then headed to class. 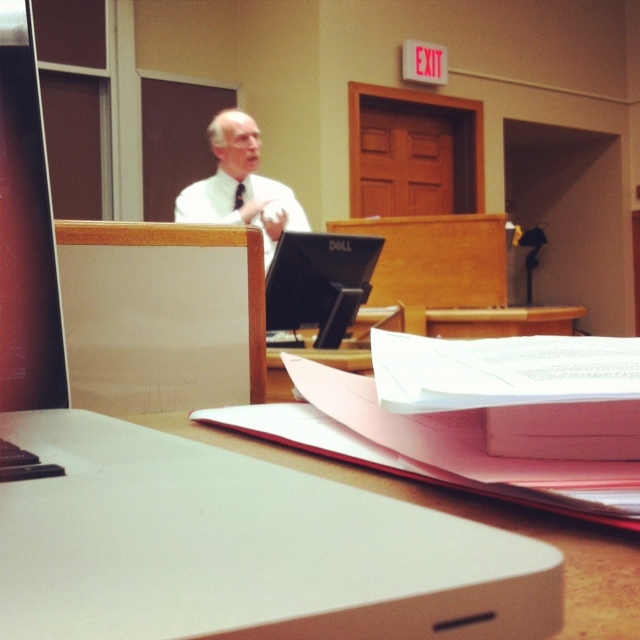 My professor for School Finance is the same professor we had for School Law. 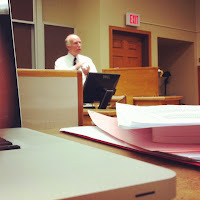 He’s one of my favorite professors because instead of keeping us from 5:30-9:30 we usually get out at 8:30. (It’s the little things!) Tonight we learned about Title One funds and the Elementary and Secondary Education Act, or ESEA. Exciting stuff. As I jumped in my car at 8:30 and sped the twenty-seven minutes to my house while listening to Billy Bush, I knew the first thing I would do the minute I walked in the door. Change my class number on our countdown board. 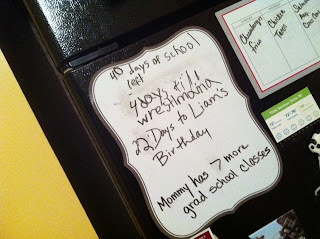 We count down anything monumental to the boys: days to Liam’s birthday, days of school left, days to WrestleMania – this Sunday if you are interested, and days left of Mommy’s school. My boys are ready for me to be done, my husband is ready for me to be done, and I am certainly past ready at this point. This summer is going to be so wonderful; I absolutely cannot wait. Slice 26 and It's Monday! What are you reading?